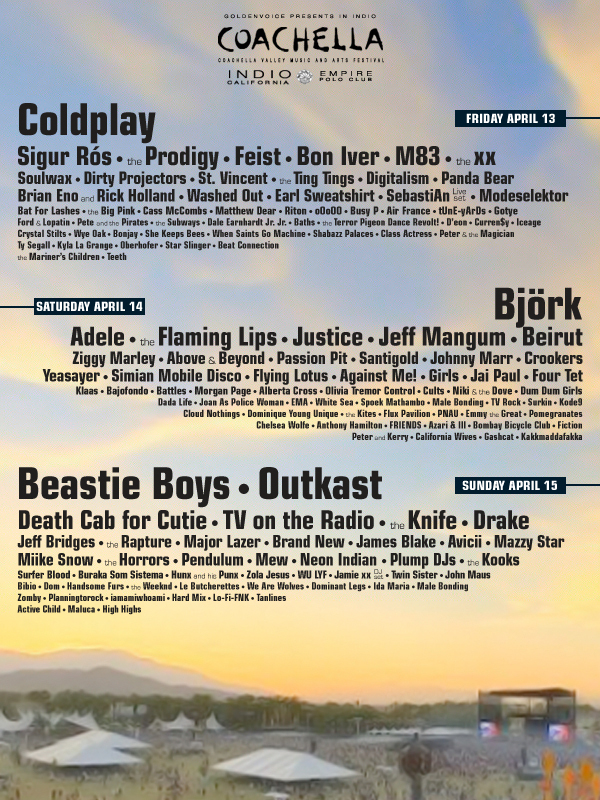 Coachella 2012 runs April 13-15 AND April 20-22, 2012, which means it’s only 265 AND 272 days away. 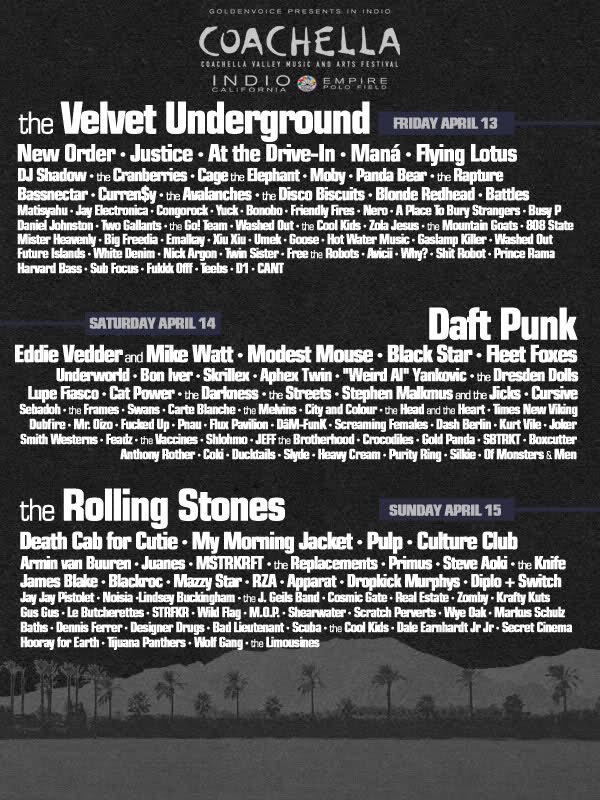 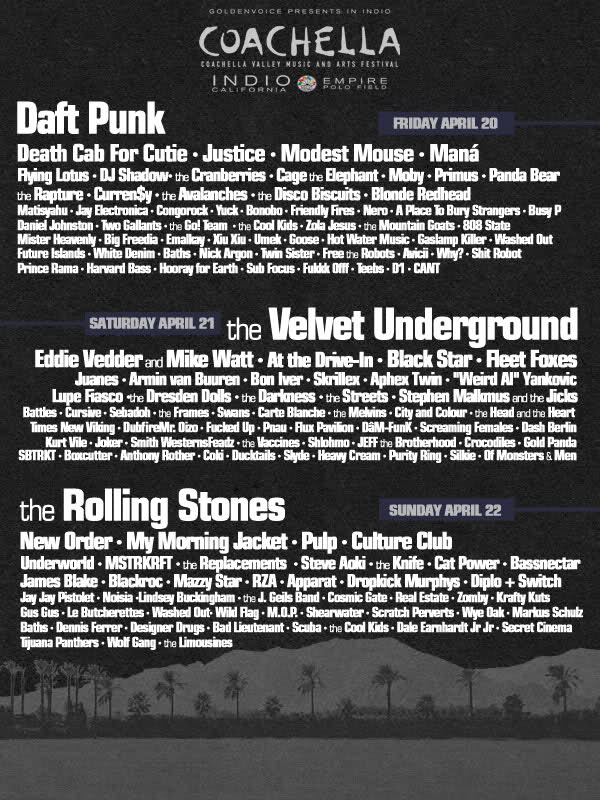 Given that lineup speculation is a year-around sport, our first batch of the 2012 fake lineup posters has hit the web. 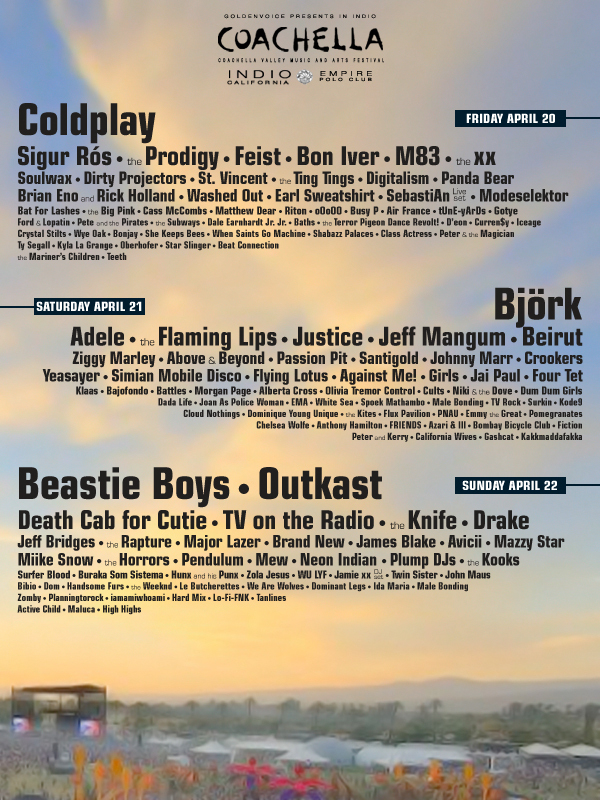 Also, fresh off his exile from the Samoan Islands, watch out for a solo set from Earl Sweatshirt.